Daily contact lenses are the best option for the health of the eyes. New, clean lenses every day reduces infections and eliminates the need for contact lens solutions. At a cost as low as $1.25 a day, daily lenses are more affordable than ever before. Yes, people still wear Rigid Gas Permeable lenses and yes, we still recommend RGP lenses for new fits. There are some prescriptions that RGP lenses are ideal for and with today’s technology there is no need to fear this fantastic option. 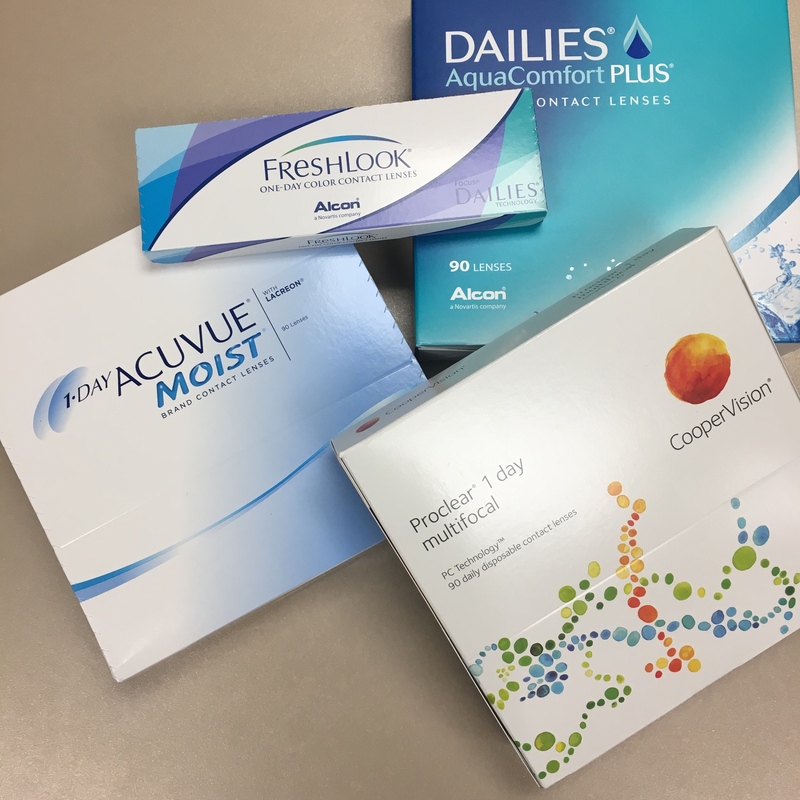 Most brands from RGPs to Daily Disposables have multifocal contact lens options. We are happy to provide you with a consultation to see what option will work the best for you. Just because you have astigmatism doesn’t mean you can’t wear contact lenses. Most every brand today have many options to correct your astigmatism. Book a consultation to see what option is most suited to your needs.